Tulsa to host Games 1 and 2 of its first round playoff series April 11 and April 14 at the BOK Center. 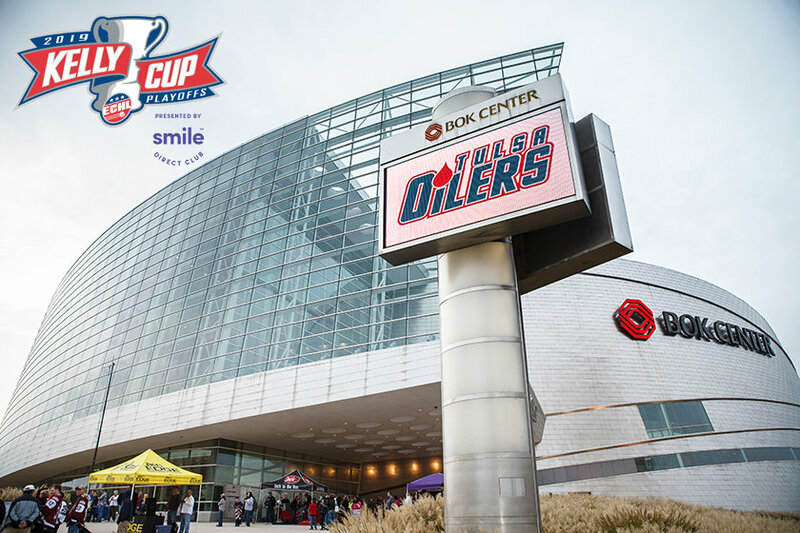 TULSA, OK– The Tulsa Oilers, proud ECHL affiliate of the National Hockey League’s St. Louis Blues, announced Monday that tickets are on sale for the team’s first two games of the first round of the Kelly Cup Playoffs, presented by SmileDirectClub. Tulsa clinched home ice advantage in the first round, with its opponent yet to be determined entering the final week of the regular season. Game 1 of the Mountain Division Semifinals will be Thursday, April 11 at 7:05pm at the BOK Center, and Game 2 will be Sunday, April 14 at 4:05pm. Season ticket holders can pick up their playoff tickets at the Oilers front office starting Tuesday, with “Game A” corresponding to Thursday, April 11 and “Game B” corresponding to Sunday, April 14. Special playoff ticket packages for non-season ticket holders can be purchased by visiting www.tulsaoilers.comor calling 918-632-7825 for more information. Single-game playoff tickets can also be purchased at www.ticketmaster.com. Tulsa enters the final week of the regular season in first place in the Mountain Division with four games remaining. The Oilers are seeking their first division title since 1975-76, but can finish no worse than second place. Following a Tuesday road trip to Kansas City, Tulsa returns home for its final three games of the regular season this weekend at the BOK Center. The Oilers host Kalamazoo for the first time ever Friday and Saturday at 7:05pm and wrap up the regular season Sunday at 4:05pm with an afternoon matinee against the Wichita Thunder.